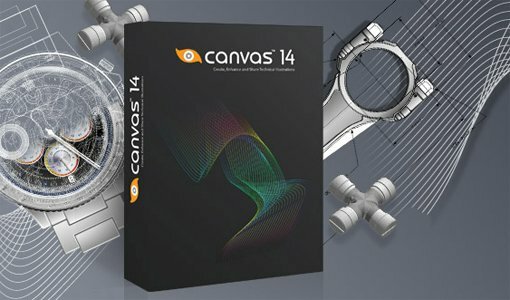 Canvas 14 with the optional GIS module offers a powerful set of GIS-based features and commands that support a range of GIS formats, define complex map projections, and perform advanced property operations. It's an indispensable tool for GIS professionals in the oil & gas and energy sectors, aerospace and automotive industries, education, and government. Within Canvas' GIS Manager you can choose settings to define geo-referencing information for a new document, or re-set the projection of an open document. GIS Manager options include Projection, Geo CS, Angular Units, Linear Units, Axis Orientation, and the Auto Define Document Coordinate system dialog. Strategically move or position objects according to their latitude and longitude coordinates while displaying the Length and Forward Azimuth when measuring between two points, and the percentage of error. Measure distance in world coordinates by drawing and selecting a line between two points. Create object replicates and precisely place them according to latitude and longitude. Create a grid of lines that displays meridians of longitude and parallels of latitude while precisely controlling its units of measure, precision decimal levels, longitude, latitude, start/end points, spacing/divisions, latitude degree rotation, horizontal and vertical offsets, and even the label format settings. Define a geographic coordinate system for a projection, and modify it with options such as Geo CS name, Ellipsoid, Prime Meridian, and Datum Transformation. Georegister a GIS drawing to the geographic location of a “known good” reference image. Set your GIS drawing scale and reference point, and define a reference rectangle. Based on the selected point or defined bounding box, Canvas then automatically sets up the projected coordinate system for that file. The Select by Property interface lets you create a project-specific customized query based upon unique properties, values, or other related criteria. Edit your query to meet new project needs, save for ongoing use, or share with colleagues. View, numerically edit and reapply map attributes that have been assigned to map objects, via the Object Properties Table View command. Perform a query and assign text labels to map objects with defined settings such as text format, location, and rotation angle. You can also apply or adjust collision detection settings. Access many of the very detailed fill, stroke, ink and GIS-specialized augmentation options required by GIS data visualization. Modify the appearance of map objects according to a selected property or a query to create thematic and choropleth maps. View complete information regarding the total number of map objects on a layer or within a selection. Enhance map symbols to increase visual appeal and dynamically replace them at any time to ensure project consistency, through the Symbol Library palette and Visualize Data command. Quickly yet precisely warp GIS illustrations with the Image Warp command. Or use the Coordinates command to place control points within a selected image and warp it according to these points. 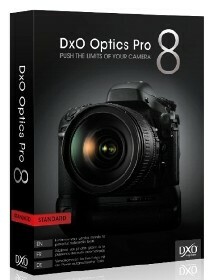 DxO Optics Pro automatically corrects and improves your photos as you open them. Corrections are precisely tailored to your images by taking into account the camera and lens you used. Our thorough knowledge of your equipment allows DxO Optics Pro to provide you with the best tools and the most precise settings for unparalleled sharpness and beauty in your photos. Perfect capture of real world light can’t be achieved with today’s commercial cameras, as the contrast between direct sunlight and shadows can reach 1/50,000 or more. Such a contrast represents close to 16 stops, definitely too much for current commercial camera sensors. DxO Optics Pro offers advanced tools to adjust contrast and tones to cope with the toughest lighting conditions, and provides you with best automatic contrast and exposure adjustment. All of DxO Optics Pro’s corrections are based on what we call DxO Presets. A DxO Preset is a selection of correction parameters that is applied to all images to be processed. Thanks to DxO Presets, you can quickly and confidently process entire batches of photos according to the particular corrections or improvements you want to make (color, contrast, sharpness, denoising, optical corrections); and, too, you can apply your own personally-created presets as well. From the moment you start up the software, unless you indicate otherwise, the default DxO Preset is active and will be used to process all your photos. This DxO Preset has been perfectly calibrated by DxO Labs’ imaging engineers and expert photographers to ensure optimal image quality for nearly all shooting conditions, including the most difficult. This DxO Preset brings together your camera’s default color rendering and the entire spectrum of our corrections for contrast (“Lighting”), optical faults (such as distortion, vignetting, and chromatic aberrations), a moderated reinforcement of sharpness, and optimal denoising. All of these corrections are perfectly adapted to your particular camera and lens. You can use this default DxO Preset with confidence for the vast majority of your images. You can choose to apply a preset to one, several, or an entire batch of photos at any time. The notion of image quality can be highly subjective. Some photographers prefer saturated colors and strong contrast, while others prefer reproducing delicate nuances of color and softened contours and edges. To respond to this important aspect of photography, DxO Optics Pro offers different tools and modes of function that permit you to process your images according to your own tastes and preferences. In addition to its principal default DxO Preset, the software comes with with more than a dozen easy-to-use DxO Preset variants that can be applied to different kinds of images shot under all kinds of photographic conditions – high ISO, vivid color, softened contours, recovery of burnt highlights, recovery of detail in shadows, correction for anamorphosis. See the full list of DxO Presets. Last but not least, DxO Optics Pro allows you to create your own presets and save your own preferred setting parameters. Once you have experimented with settings and obtained photo results that please you, you can save the setting parameters in a personal presets file under a name of your own choosing. You can then re-apply this preset to one or more photos by selecting it from the updated list of available presets. Graphics Converter Pro 2013 is an easy-to-use and powerful batch graphics converter and image viewer, that can import more than 500 graphic formats and export more than 100 formats including BMP, GIF, JPG, PNG and many others. The program comes with 40 image filters and 12 image effects and more. Graphics Converter Pro 2013 supports many vector graphic formats. Graphics Converter Pro 2013 contains all functions of ImageCool Converter. 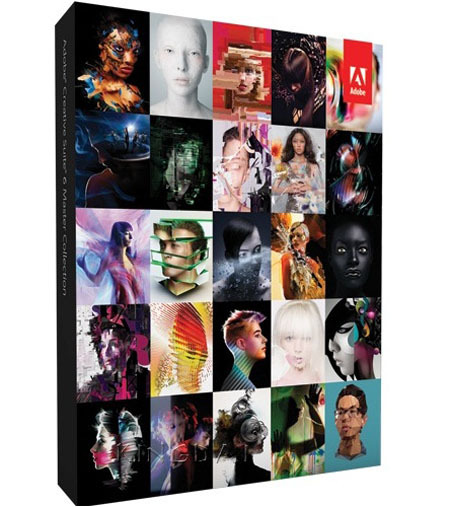 Exclusively, it supports 22 vector graphic formats conversion. * Support more than 500 graphic formats, and Graphics Converter Pro 2013 supports 22 vector graphic image formats, including CGM, DGN,DWF, DXF, DWG,GBR, PCT, PLT, WMF and more. For more details, please read list of 500 supported formats. Graphics Converter Pro 2013 supports conversions between 100+ formats and JPG2000(JP2, J2K, JPC and JPF) images. * Support batch conversion from PDF files to 100+ graphic formats, such as JPG, GIF, PNG, TIF and so on. * Support batch conversion from 500 formats to PDF. Graphics Converter Pro 2013 also can convert vector graphics(such as DWG, CGM, DGN, DWF and etc.) to PDF. * Offer 40 image filters, including Blurring, Sharpening, Embossing, Diffusing, Color Balance, and more. 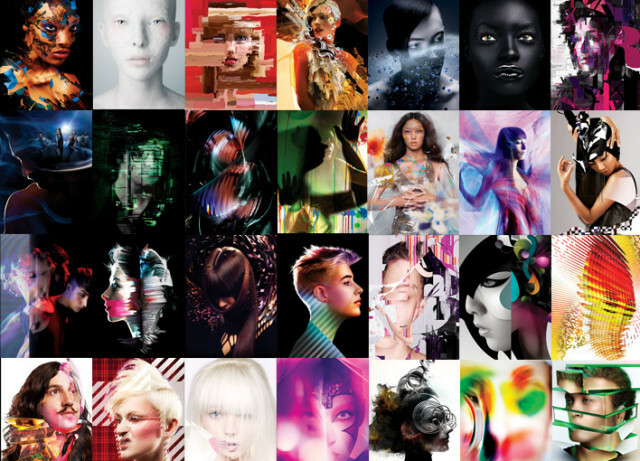 * Offer 12 image effects, including Resizing, Flip, Wave, Noise, Arbitrary Rotation, and more. You can resize images in batches easily. * You can save your selected filters or effects as default options, and apply them in a batch processing. * Alpha Channel Support: Graphics Converter Pro 2013 fully supports Alpha channel in 32-bit PNG or ICO formats and fully supports transparence layer in GIF, PNG or ICO formats. * Multi-Page Format Support: Graphics Converter Pro 2013 fully supports Multi-Page formats. You can convert, create or preview Multi-Page images, including TIF, GIF, PCX, AWD, WFX, FLI and FLC. * Powerful Resizing Functions: Supports three resizing modes, including “Standard Size”, “Custom Size” and “Proportion Size”. There are 50 standard sizes in the “Standard Size” mode. * Large Image Support: If the image is too large to completely load into memory, Graphics Converter Pro 2013 will resize the file as it loads. * Large Icon Creating: Create more than 512×512 pixels icons from any other supported formats. * Preview Modes: Graphics Converter Pro 2013 has 4 preview modes, including Details, Preview, Thumbnails and Custom. You can easily switch the modes by clicking on the buttons in the upper right corner. All-in-one DWG Converter – Batch DWG converter that allows you to convert DWG DXF and DWF to PDF, WMF, JPEG, TIFF, EPS, SVG, CGM…,Supports command line parameters, it is also a very nice Free DWG Viewer. – Supports to save DWG and DXF into DWF format(Beta). – Supports AutoCAD pen sets file (*.ctb). – Supports the paper setting of each layout, can adjust the size of output pages with its layout automatically. 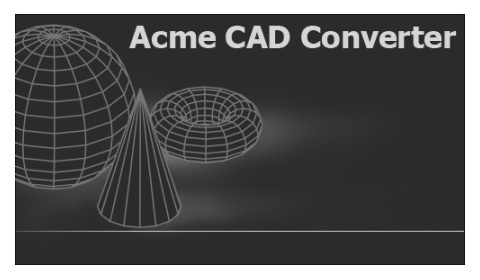 – Supports 3D objects Hidden line removal when convert DWG/DXF to other formats. – Creates PDF bookmark automatically with layout name and file name, and you can edit them. – Supports PDF's security Options. – Exports the arc/circle objects to true arc/circle objects of other vector file. – Supports to separate layers to drawings(one drawing per layer). – DWG DXF File version conversion. – Converts DWG, DXF, DWF to PDF. – Converts DWG, DXF, DWF to EPS, CGM, HPGL(*.PLT). – Converts DWG, DXF, DWF to WMF, BMP, GIF, JPEG, TIFF, PNG, TGA, PCX. – Converts DWG, DXF, DWF to SVG. – Batch converts multi DWG DXF and DWF files to a single PDF. – Replaces the missing fonts. – Batch recovers DWG and DXF files. – Package multi-DWG or DXF drawings together into a zip file with all related resource files(such as: font, raster image, XRef files…). Writing a novel, research paper, script or any long-form text involves more than hammering away at the keys until youre done. Collecting research, ordering fragmented ideas, shuffling index cards in search of that elusive structuremost writing software is fired up only after much of the hard work is over. Enter Scrivener: a word processor and project management tool that stays with you from that first, unformed idea all the way through to the final draft. Outline and structure your ideas, take notes, view research alongside your writing and compose the constituent pieces of your text in isolation or in context. Scrivener won't tell you how to writeit just makes all the tools you have scattered around your desk available in one application. Scrivener puts everything you need for structuring, writing and editing long documents at your fingertips. On the left of the window, the binder allows you to navigate between the different parts of your manuscript, your notes, and research materials, with ease. Break your text into pieces as small or large as you wantso you can forget wrestling with one long document. Restructuring your draft is as simple as drag and drop. Select a single document to edit a section of your manuscript in isolation, or use Scrivenings mode to work on multiple sections as though they were one: Scrivener makes it easy to switch between focussing on the details and stepping back to get a wider view of your composition. With access to a powerful underlying text engine, you can add tables, bullet points, images and mark up your text with comments and footnotes. Format as you go using the format bar at the top of the page, or use any font you want for the writing and let Scrivener reformat your manuscript after you're doneallowing you to concentrate on the words rather than their presentation. Most word processors approach composing a long-form text the same as typing a letter or flyerthey expect you to start on page one and keep typing until you reach the end. Scrivener lets you work in any order you want and gives you tools for planning and restructuring your writing. In Scrivener, you can enter a synopsis for each document on a virtual index card and then stack and shuffle the cards in the corkboard until you find the most effective sequence. Plan out your work in Scriveners outliner and use the synopses you create as prompts while you write. Or just get everything down into a first draft and break it apart later for rearrangement on the outliner or corkboard. Create collections of documents to read and edit related text without affecting its place in the overall draft label and track connected documents or mark what still needs to be done. Whether you like to plan everything in advance, write first and structure lateror do a bit of bothScrivener supports the way you work. No more switching between multiple applications to refer to research files: keep all of your background materialimages, PDF files, movies, web pages, sound filesright inside Scrivener. And unlike other programs that only let you view one document at a time, in Scrivener you can split the editor to view research in one pane while composing your text right alongside it in another. Transcribe an interview or conversation, make notes on an image or article, or just refer back to another chapter, all without leaving the document youre working on. 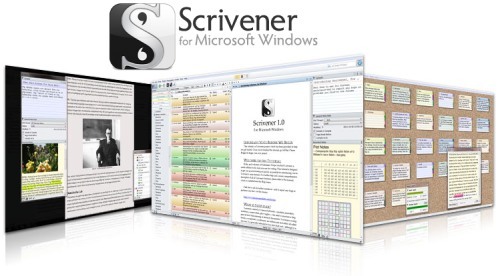 Scrivener provides all the tools you need to prepare your manuscript for submission or self-publishing. Once youre ready to go, control everything from how footnotes, headers and footers appear to fine-tuning the formatting of each level of your draftor keep it simple by choosing from one of Scriveners convenient presets. Print a novel using standard manuscript formatting. Export your finished document to a wide variety of file formats, including Microsoft Word, RTF, PDF and HTMLmaking it easy to share your work with others. Or self-publish by exporting to ePub or Kindle formats to share your work via iBooks or Amazon, or for reading on any e-reader. long-form texts often face similar problems, and provides an array of flexible tools that allow you to do things your way, no matter what kind of writing you do. 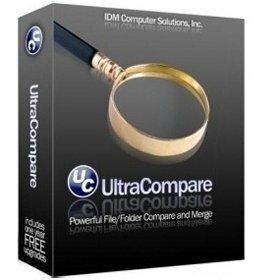 A complement to your file management suite, UltraCompare Professional is loaded with features to enable you to compare text files and folders, as well as zip files and jar archives. Text file compare features include binary and text compare of two or three text files at a time, with the ability to merge text differences between compared files. Folder compare supports comparison of local/network directories (and subdirectories with recursive folder compare) and zip file compare as well, and like text/binary compare, you can merge differences between compared directories. With automatic integration with UltraEdit or UEStudio, UltraCompare Professional is a compare tool you should not be without! · Ability to set a NOT operator for filter, ie, NOT *.bak, etc. Make Hollywood-style movies faster and easier. Import and edit HD and stereoscopic 3D files, use compositing and color-correction tools, apply 5.1 surround sound mixing, and more. Deliver your movies any way you want. Upload them to YouTube™ and Pixelcast™ (a new website from Sony for sharing and collaboration), burn them to Blu-ray Disc™, or author DVDs with custom menus and graphics. With its inviting interface, intuitive workflow, and impressive editing tools, Movie Studio Platinum puts professional-grade moviemaking right at your fingertips. You've shot video on your Bloggie®, Handycam, GoPro®, and phone, and now you want to bring all the clips together and make a movie. Easy! Import multiple file types into Movie Studio Platinum and edit them on the same timeline. Sort the imported clips to decide which work best in your project. Publish movies to Pixelcast™ without ever leaving the application! Construct a video or slideshow of your vacation, a family event, or a get together with friends. Then send a link to others to check out your experience or invite them to collaborate by uploading photos and video of their own. Start your project out right. Use the New Project dialog to ensure that each project is set up with the exact settings you need to produce stunning movies, every time. Select the option that best matches your video (AVCHD, Blu-ray Disc™, stereoscopic 3D, and more) and Movie Studio sets your Project Properties for you. Round out your movie with exciting soundtracks and beautiful titles. Import your own music from CD or MP3, record instruments directly into the program, or select from the 20 included Sony Sound Series: Production Music audio files to create the perfect music bed. Animate text in your movies with the Titles & Text tool or create 3D titles with NewBlue Titler EX. The choice is yours! Boost colors, apply slow motion, or add other effects to enhance any video project. Add effects to an entire track or to individual events, and view your changes instantly in the Preview Window. From standard dissolves to sensational 3D, add artistic style between scenes with video transitions. Change the duration of each transition with a simple drag of the video or audio event. 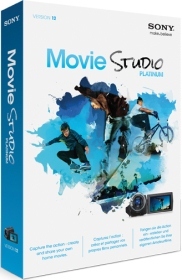 Add up to 20 video and 20 audio tracks to each Movie Studio Platinum project. Create a movie with multiple video layers for compositing or picture-in-picture-style scenes. You can also record multitrack audio directly into the program to create the perfect atmospheric soundtrack. • Fixed a bug that caused the Synchronize command to be unavailable in the event shortcut menu even when audio and video events were not synchronized. • Added new rendering templates to the Sony AVC/MVC format: use Internet 1920×1080-30p and Internet 1280×720-30p to render HD video for Internet distribution. • The Encode mode setting for Sony AVC/MVC rendering templates now uses Render using CPU only by default. If you're using a supported GPU, you can enable GPU acceleration by choosing the appropriate setting for your GPU. Easy CD-DA Extractor – the "Swiss Army Knife of Digital Audio" is 4-in-1 software that rips Audio CDs, converts music files, and burns Audio CDs, MP3 CDs, WMA CDs, and Data CDs. 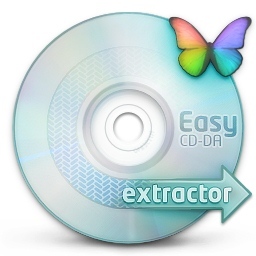 Easy CD-DA Extractor supports all popular audio file formats – 3G2, 3GP, MP1, MP2, MP3, Windows Media Audio, Ogg Vorbis, MP4, M4A, AAC, aacPlus v1 (HE-AAC, AAC+), aacPlus v2 (HE-AAC v2, HE-AAC+PS, eAAC+), FLAC, Musepack, WavPack, WAV, AIFF, Monkey's Audio, Shorten, CUE and M3U. Also, the Nero Digital (Nero AAC) is supported if you have the Nero Burning ROM installed on your computer. State-of-the-art audio encoding technology – Easy CD-DA Extractor includes the most advanced audio codec available, the aacPlus from the Coding Technologies. Additionally, Easy CD-DA Extractor also supports command line (.exe) encoders. Easy CD-DA Extractor compatible with Windows 2000 and Windows XP. Available in 26 languages. * Optical media drive for ripping audio CDs and for burning CDs and DVDs. VideoMach is a popular software for converting images to video, disassembling video to pictures, adding audio to animations, extracting audio from movies, speeding up video, slowing it down, resizing, cropping and rotating. VideoMach is mostly used for converting output of high-speed imagers, 3D renderers, time-lapse capture, game videos and stop-motion animation to presentation video. Supported formats in Standard version include AVI, MPEG, FLC, HAV, JPEG, PNG, BMP, DIB, TGA, PNM and more. Professional version adds formats used in high-speed imagers and graphics workstations, such as BAYER, CINE/CVR, SUN, RAS, SGI, RGB, TIFF, XPM and more.